Unnoticed by the mainstream medias, recent leaked minutes from a secret meeting – held on 31 August 2014 and named the Military and Security Committee Meeting – between high-level security and military Sudanese officers offer insight into the different ties that Khartoum maintain with Iran, the Gulf States as well as Shia armed groups in Yemen and Libya. Sent to Sudanese specialist Eric Reeves on 22 September 2014 who then uploaded it onto his website two days later, the document has been authenticated by various sources. 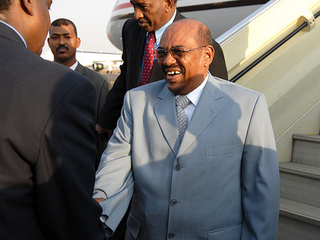 In May 2014, the Sudanese Foreign Minister Ali Karti stated during a visit to Saudi Arabia that Sudan had turned down various Iranian offers for the building of an air defence system on Sudan’s Red Sea coast. “Iran, in truth, offered to set up air defense platforms on the Western coast of the Red Sea after the latest Israel raid [2012 air strike on a Khartoum arms factory] but Sudan rejected that because this would require Iranian arms experts (on the ground),”[i] Karti indicated. According to the Sudan Tribune, Karti insisted in his speech that no Iranian military experts were present in his country and he also denied the allegations made by Israel that Iranian weapons were transited through Sudan. “I shall start with our relationship with Iran and say it is a strategic and everlasting relationship. We cannot compromise or lose it. All the advancement in our military industry is from Iran. They opened the doors of their stores of weapons for us, at a time the Arabs stood against us. The Iranian support came when we were fighting a rebellion that spread in all directions including the National Democratic Alliance (NDA). The Iranians provided us with experts and they trained our M.I. [Military Intelligence] and security cadres. They also trained us in weapons production and transferred to us modern technology in the military production industry. There is one full battalion of the Republican Guards still with us here and other experts who are constructing interception and spying bases in order to protect us, plus an advanced Air Defense system. They built for us Kenana and Jebel Awliya Air Force bases”[iii] (emphasis added). Outlining another machiavellian facet of the Sudanese foreign policy, General Husein reveals that the Kenana Air Force has been used for the transit of Iranian weapons. “One month ago they [Iranians] transported to us BM missile launchers and their rockets using civil aviation planes. We stored them in Kenana and sold part of them to Qatar to support Libya fighters after they were subjected to attacks by the Egyptian and Emirates air forces. That helped them to achieve victory.”[iv] Husein’s words thus confirm Libya’s recent denunciation of Khartoum’s logistical support to the Libya Dawn Militias. Furthermore, the minutes reveal that Sudan has also provided weapons to the Houthis (a Shia insurgent group) operating in Yemen. “We have a problem with Saudi Arabia because they found out about the weapons we sent by way of the Red Sea to Abd al-Malik Al-Houthi’s [leader of the Houthis] Shia group in Yemen,”[v] said Major General Hashim Abdalla Mohammed in the meeting. [i] “Sudan says it declined Iran air defense offer after attack.” Reuters. 29 May 2014. 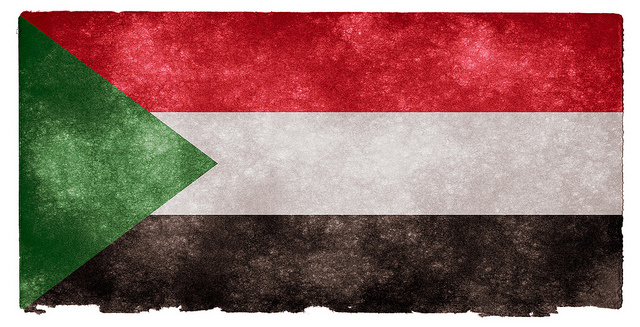 [ii] “New and authoritative translation into English of minutes for August 31 meeting of the most senior military and security officials in the Khartoum regime.” SUDAN: Research, Analysis and Advocacy by Eric Reeves. 22 October 2014. Accessed on 2 November 2014 at URL: < http://sudanreeves.org/2014/10/22/new-and-exceedingly-accurate-translation-into-e/>. Aliaume Leroy is currently in his final year of undergraduate studies at McGill in Political Science, Economics and History. Deeply interested in the studies of conflicts and international black markets, he has a particular weakness for nasty arms dealers, governments' "defence businesses" (a nice euphemism) and drug traffickers. His main regions of concerns are Africa, Latin America, the Middle East and Southeast Asia.